DOUBLE CONE TENSILE STRUCTURES IN CHENNAI We provide premium quality Tensile Membrane Roofing Structure as our products technically advanced and strongly constructed which provide excellent and nice look as well as offer sturdiness to the roof. Our Roofing Structures in construction is available at effectively competitive rate we give assurance that it s corrosion free. 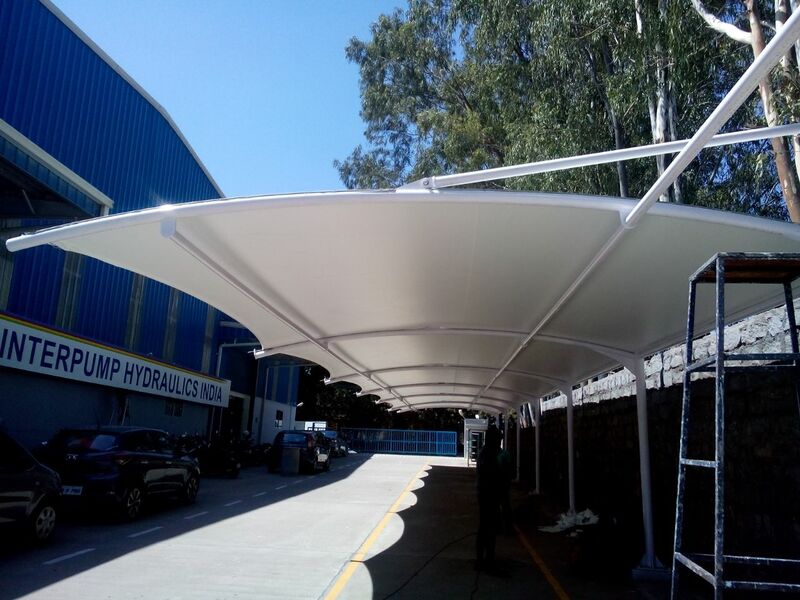 TENSILE CANOPY STRUCTURES IN CHENNAI We are one of the leading companies in manufacturing and supplying of a qualitative array of Tensile Membrane Structures (Canopy), which are commonly used in doubly curved structures. Our range of product is fabricated from superior quality of polyester and PVC coated. This range is specially woven to spread strengths in various directions. Our designs for Tensile Membrane Structures are highly appreciated by our clients as it provides an elegant and superb look to their exteriors.